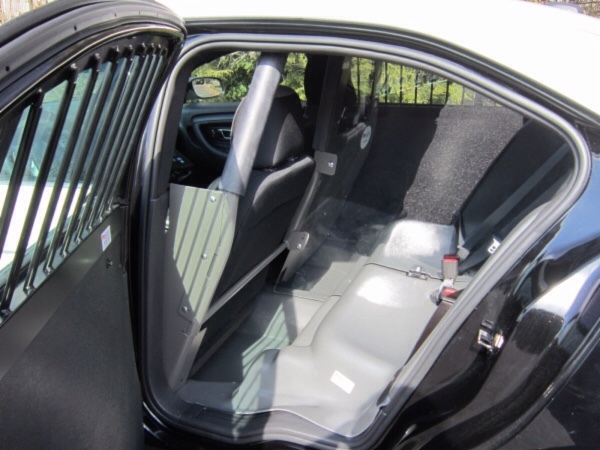 What began as a visit to the home of one of my members ended with an experience I've never had before: I left there in the back of a police car. Of course, there is much more to this story. Let's rewind a few hours. Lisa and I had just finished exercising last Saturday night, and when I glanced at my phone, I saw someone had called and left a message. It was a message no one ever likes getting: “Pastor, I came home and found him dead on the floor.” Oh, boy. We knew it was coming. But you're never ready. I called back, got directions to the house, quickly cleaned up and headed out the door. After a few missed turns, I found myself on the first dirt road. As I passed a variety of farmhouses and trailers, I thought, “You probably don't want to turn in to any of these places unless they know you're coming.” It's probably not unusual to be met by someone with a shotgun in hand. And I wasn't driving a pickup. I was clearly from out of town in my Honda Insight. Finally, I saw the dead end sign and turned left as directed. Then I saw the gate with the sign on it. I was starting to feel much better. Ahead was a three-quarter of a mile winding drive to the house. As I approached one of the turns, I caught sight of a number of vehicles and rescue workers waving flashlights. Lots had happened before I arrived. Upon arriving home and finding her husband dead on the floor, Teresa (I've changed the names) called 911. In response, two deputies responded, followed by a fire truck and then an ambulance. Well, Kasey was already dead, so all those services weren't needed. Rather than turning around, the driver decided to back the ambulance out. He cut one of the turns a little too closely, and the truck slid into a ditch. They called a towing company, who sent out a large wrecker. When the wrecker tried to pull out the ambulance, something went wrong and the ambulance sunk deeper into the ditch. With the driveway blocked, the wrecker couldn't leave, the firetruck couldn't leave and the deputies couldn't leave. That's when I pulled up. I parked my car by the gate and walked to the house accompanied by a deputy. Teresa's friend Tommy, a one-armed bass player (that's a story for another post! ), was already there with her. Kasey's corpse was on the floor by the bed. It would be while before anyone would be able to pick up the body, so we prayed, sat and talked for a few hours. I apologize if you read this far only to be disappointed that I hadn't gotten into some kind of trouble. I was arrested one other time. In the spring of 1985, I joined with some pastors and parishoners from some churches in Baltimore, and protested apartheid in front of the South African embassy in Washington, D.C. We intentionally trespassed, were arrested, and I think were taken away in a paddy wagon. The charges were later dropped, so my record is still clean. To this day, though, when I have to fill out paperwork to volunteer in the schools or work with youth, I always remember my brush with the law. This entry was posted in Life, Ministry and tagged police car. Bookmark the permalink.